Cornerstone North! 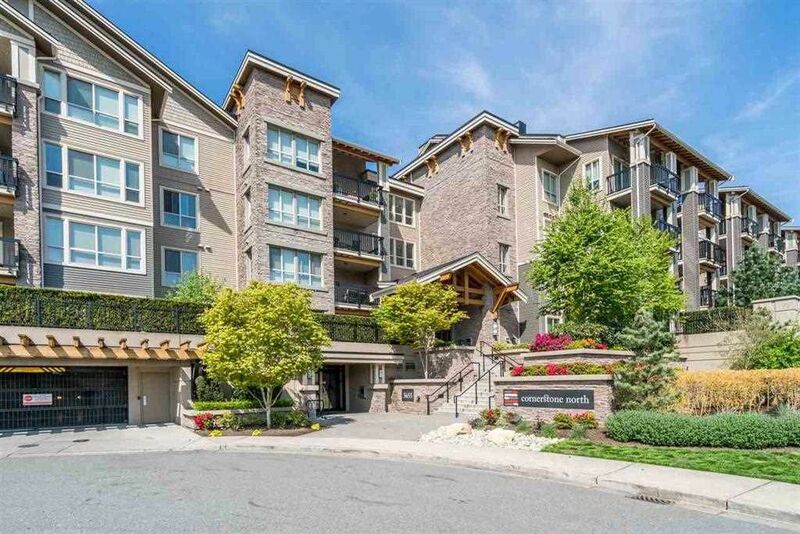 TOP FLOOR one bedroom & den with unobstructed skyline & Mount Baker VIEWS to the east! This spacious & bright open concept plan offers 9 foot ceilings throughout, LOADED kitchen with sleek s/s appliances, quartz countertops, soft-close cabinets & drawers, undercabinet lighting & tiled backsplash! The bright & inviting living area features a fireplace & large picture windows to drink in the view, along with easy slider access to the vaulted over-sized covered deck for year round entertaining! Bedroom with large WALK-IN CLOSET offers cheater access to the spa like 4 piece tiled bath! Awesome location w/ easy access to HWY #10 & Fraser Hwy, and Kwantlen College, Safeway, Starbucks, restaurants & ice rink all a quick walk away. Investor?Rentals allowed!